11 Aug 1928, MISS ELSA GRICE. In view of the incorporation of the Women's Institutes in Victoria with the newly formed Country Women's Association, special interest attaches to what Miss Elsa Grice has to tell of the development of the movement in England. 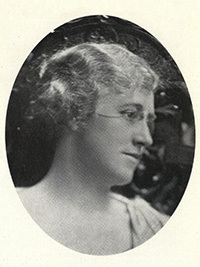 Miss Grice who returned recently after more than a year's absence abroad, visited a number of the individual institutes of which there are now 4,000 while she was in England, and just before she left was present at the annual meeting of the National Federation of Institutes at the Queen's Hall London. Already she has been drawn back into active work in connection with the institutes here, and on Thursday visited the Beaconsfield institute with Lady Mitchell, who spoke to the members about the C W A. It will be remembered that the insti tutes came into being in Great Britain during the war and were considered of sufficient national importance to receive a grant of £5,000 from the Government, to be continued until they became self supporting. Each institute now has its own funds, and there is a central fund at headquarters in London so the Government grant will be withdrawn next year. The success of the movement in England may be traced very largely to this financial backing in the early stages. A good deal has already been written here of the various activities which concern the institutes, the aspect most familiar probably being the development of handicrafts and rural industries. Also a tremendous amount of health work is being done through the institutes, Miss Grice found, such for instance, as the teaching of mothercraft, health and domestic hygiene, proper medical and dental attention for children, the support of nursing associations in the different villages and so on. The members are also expected to concern themselves in all matters of interest to the community generally, such matters for in stance as sewerage and water supply in vil lages that are sadly lacking in this respect. They are encouraged too, to take an intelligent interest in local government and many of them have become members of local councils. Miss Grice was very im pressed by the fact that at the annual meeting in London, where women from all over the country spoke, only one of them was obviously nervous. The majority spoke admirably, and always to the point. Those vague generalities which betray inexperience and an untrained mind were conspicuous by their absence. Referring to that meeting Miss Grice said that special emphasis had been laid by one of the speakers on the part women could play in preserving the beauty of the countryside. Here seems a particular direction in which our CWA might follow their lead. There is sad evidence in many of our country and seaside resorts that the public is in need of education in this direction. [S1] Registry of Births Deaths and Marriages Pioneer Index Victoria 1836-1888 "#B14140." BANKSIA, POSITION IN ROSE BED, GARDEN 4 BED 31 POSITION 47. [S11] Newspaper - Argus 11 Aug 1928 p10. [S14] Newspaper - The Queenslander: 17 Jan 1929 p53. Had McArthur Road named after him. Anecdote McArthur, Dr Arthur Norman (1869-1951), Dr Norman McArthur, the son of Peter McArthur and Margaret nee McLean was a boarder at the College from 1881 to 1886, and excelled in school sports, being especially interested in boxing and football. He was a member of the 1st Football XVIII from 1884 to 1886 and the 1st Cricket XI in 1885 and 1886. In the 1886 Annual Report his football talent was described as ‘generally roves, plays with dash, uses his weight to advantage and a good kick.’ At Cricket,-‘Good bat, has scored well this season, fair fielder.’ At tennis-‘a good player, gets plenty of pace on, needs practice. From the Geelong College he proceeded to medical studies at Ormond College, Melbourne University and at King's College, London. By 1909 he was Senior Gynaecological Surgeon at St Vincent’s Hospital, Melbourne and became a distinguished medical consultant practising in Collins Street. At University he gained a double blue for cricket and football. A member of the well-known pioneer family of Meningoort, Camperdown, he was a worthy follower of their tradition, and was an original member of the Old Collegians' Association which he helped to form in 1908, and of which he became President in 1909 and 1910. His keen support of the College was lifelong, and after the tragic death of Norman Morrison he and Neil Campbell were largely responsible for the survival of the College. He, it was, who supplied the drive for the erection of the Norman Morrison Memorial Hall. His father Peter McArthur of Camperdown was one of the original twelve members of the Corresponding Committee formed at the establishment of the School in 1861. 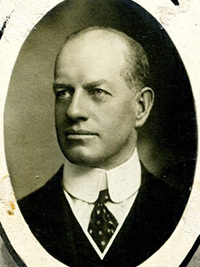 Dr McArthur was a member of the Geelong College Council from its inception in 1908 until 1947 and acted as Chairman of the Council during 1939 to 1941 during Arthur Coles' absence. Dr McArthur married Millicent Elizabeth Noakes. His brothers, Leslie Graham, Robert Ernest, Peter Campbell, Sir William Gilbert Stewart and John Neil McArthur also attended the College as did his son Peter Norman McArthur. (1869 - 1950) M.B. (Melb), M.R.C.S. (Eng. ), F.A.C.S. (Hon. ), F.R.A.C.S. There have been few more colourful persons in the medical world of Australia than Arthur Norman McArthur, affectionately called "Potts" by his many friends. He lived to the eightieth year of a very full life in his profession of medicine, in lusty sports, such as boxing, polo and foxhounds, and in public and philanthropic interests. Into whatever he pursued, McArthur threw his whole heart and great physical and mental powers. McArthur was the fifth son of Peter McArthur, pioneer pastoralist of the Western District of Victoria. 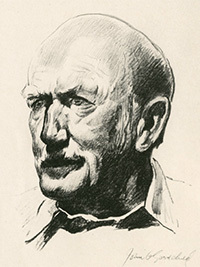 Born at "Meningoort", his father’s station, near Camperdown, on July 12 1869, educated at Geelong College, and studying medicine at the University of Melbourne, where he was a resident in Ormond, he finished his course in London, becoming M.R.C.S., L.R.C.P. in 1895. Three years later he was appointed House Surgeon in the Launceston General Hospital. Returning to England to marry Mellicent, daughter of Wickham Noakes of Selsdon Park, Surrey. McArthur subsequently commenced practice as an obstetrician and gynaecologist in Collins Street, Melbourne. In 1903 he took the degrees of Bachelor of Surgery and Bachelor of Medicine of the University of Melbourne, and was appointed Honorary Obstetric and Outpatient Surgeon to the Women’s Hospital. In 1905 he began a long period of association with St. Vincent’s Hospital, eventually becoming its Senior Honorary Gynaecologist. He resigned his Women’s Hospital appointment in 1909 and ceased to practice obstetrics. McArthur’s interests in the field of medicine were varied, his achievements many and he evolved some special operative techniques. One of them was demonstrated to Dr. William Mayo (of Rochester U.S.A.) when the latter visited Australia in 1924; this resulted in McArthur being elected a Fellow of the American College of Surgeons. He organized a fund which raised £6,000 to buy radium for St. Vincent’s Hospital, and was prominent in a campaign, under the Chairmanship of Mr. B.T. Zwar, to organize cancer clinics. He was a foundation Fellow of the Royal Australasian College of Surgeons, and a member of Council of the Victorian Branch of the British Medical Association (being first elected thereto in 1916). McArthur was a regular contributor to "The Medical Journal of Australia" on the subjects in which he specialized. Outside medicine, McArthur’s great loves were sport and country life. He was a University blue in both cricket and football and was an amateur boxer of the top grade, in London in student days being runner-up in the inter-hospital heavyweight championship. He was for many years Chairman of the Victorian Amateur Boxing and Wrestling Championships. He played polo from early youth, was captain of the Melbourne Polo Club for four years, and with his three elder brothers had formed a famous polo team of his early years in the Western District. Field shooting was possibly his favourite pastime and the openings of the quail and duck seasons were sacred - no professional work then. Accompanying this was active interest in game and native flora and fauna preservation. He was for many years Chairman of the Game Preservation Society of Victoria, and of the Advisory Council of Fauna and Flora of Victoria. In his latter years, McArthur became more and more crippled with osteoarthritis of the hips, but his lively sense of humour never deserted him and right to the end he was ready to tell a good story from an unending fund of reminiscences. 9 Oct 1897, WILL OF THE LATE MR. PETER MCARTHUR. ESTATE VALUED AT £152,483. 31 Oct 1917, RAILWAY COMEDIES. TO THE EDITOR OF THE ARGUS. Sir,-To supplement the series of articles in "The Argus on the management of the Victorian railways I would like to supply some facts that read almost like a comic opera. I have a property at Upper Beaconsfield. Some years ago I had sent to Beaconsfield station, 23 miles from Melbourne, a 1.000-gallon tank and a 9ft. cyclone gate. They were lost for 2 months, the Railways department being unable to trace them. At last a man whom I knew from Gippsland stopped me in the street and asked me when I was going to remove my tank from the Drouin railway platform, as it was obstructing the platform. He knew the tank was mine because it had painted on it 12in. letters in black on the galvanised iron, "Dr. McArthur, Beaconsfield." I immediately asked if he also a 9ft. cyclone gate. He said "Yes," and that it had a label on it fully addressed. I informed the railway authorities, but a shrug of the shoulders, a bland smile, and a few platitudes dismissed the whole matter as far as the department was concerned. I bad a bag of potatoes sent to me on July 1. From Beaconsfield to the Toorak station is 24 miles. On July 14 the bag of potatoes had arrived at Toorak. The explanation of the railway authorities was that the goods train conveying a certain amount of perishable goods could not deliver at Toorak at 3 o'clock in the morning, as the department could not afford to employ men to unload and shunt goods at that time. The goods, had to go to Spencer street, and then at last when a full truck was made up to deliver goods at Toorak the return was made and the truck shunted off at Toorak. Again, a bag of cement sent to Beaconsfield was lost. The department was notified and re-notified that the cement could not be traced. Three months went by, and a claim of 5/3 was made against the depart ment. In another month it was notified that payment was passed, and awaited col- lection at Spencer street. I did not collect. When the department received my letter expressing what I thought of them they kindly sent the 5/3 to my office in Collins street. I had half a dozen windows sent up from a timber merchant. They arrived at Beaconsfield. Two of the windows were broken in transit, and my manager would not take delivery. I sent back the win dows, and had them replaced at the department's expense. On the return they were lost on the railways. Three months again before a claim could be sent in. Another month expired, and a notice was sent that payment would be made on calling for the money at Spencer street. I protested, as I had already made four visits to Spencer street about the windows. The payment was then made at my rooms within half an hour. Some eggs and butter recently were sent from Beaconsfield to Toorak, and I was notified. I sent my carrier for them. They were not there. I sent again—not there! I called next day—not there! I thought perhaps they would be at Armadale—a mistake on the part of my manager. Not there! On the fifth day I went to Toorak again. Not there! But I got into the parcels office, searched for myself, and found the parcels, fully labelled. I made the official look up the waybill. There it was five days old. I saw the stationmaster, and gave him all I knew." I always have money deposited at Beaconsfield railway station to cover goods arriving. The stationmaster notifies me when this is exhausted. It has been explained frequently to officials at Toorak. Yet every time egg-boxes or butter-boxes are sent by my carrier to Toorak a refusal is given to send them on because 2d. must be paid cash down for return of "empties." These are only a few instances selected out of an extraordinary number of irritating comedies that the Victorian railway management has personnally supplied to me. Can anyone conceive of such management in a private company, where dividends were looked for? 30 Jun 1927, Berwick Shire Council. McArthur’s-road.—I have inspected a proposed deviation through the south-west corner of allot. 73, parish of Gembrook. The object of this deviation is to give Dr. McArthur and others living on the back road an easy outlet on to the Baaconsfield-Emerald-road. Sir,-The article by the agricultural editor on the appalling spread of the blackberry is a timely contribution to rouse a dilatory Government department. The menace of the blackberry is impossible to understand or realise except by those who know the mountains as I do. Once a year (if he does not forget) an inspector passes down the lane passing my orchard, and leaves the usual notice to destroy blackberries on the road up to nine feet of my fence. The poor inspector has to come a long way round from Kalista, Monbulk, Sassafras, or wherever it might be. There were short cuts he could have taken, but in many of those lanes the chain-wide road is occupied by blackberry for miles quite impenetrable and 15ft. in height. In the mountains Crown lands are covered with blackberry. Shire councils are so appalled by what is in front of that they cannot tackle the problem. It is the most dreadful evidence of Governmental neglect that one can possibly conceive. The increase on Crown lands in the Dandenong Ranges during the last 20 years is inconceivable. A united attack, as indicated by your agricultural editor, must at once be undertaken, and action must be continuous, unsparing, and unyielding.-Yours, &c.
[S1] Registry of Births Deaths and Marriages Pioneer Index Victoria 1836-1888 "#B14164." [S9] Free BMD. Index. Online @ https://www.freebmd.org.uk/ "Jun Q [Croydon] 2a 575." [S185] Property Titles. ; PROV (Public Records Office Victoria), C/T 3005-940 - Anna Paulina Albers and August Henry Albers to Arthur Norman McArthur. [S185] Property Titles. ; PROV (Public Records Office Victoria), C/T 1625-865 + C/T 2638-568 - discharged 27 Jun 1915 - Mortgage No 240869. [S185] Property Titles. ; PROV (Public Records Office Victoria), C/T 2563-439 - Thomas Henry Cregan and Mary Ellen Cregan obtained a mortgage from Arthur Norman McArthur. He foreclosed on 22 Aug 1908 - C/T 3292-230. [S185] Property Titles. ; PROV (Public Records Office Victoria), C/T 2563-439 (319a 3r 37p) - Thomas Henry Cregan and Mary Ellen Cregan obtained a mortgage from Arthur Norman McArthur. He foreclosed on 22 Aug 1908 - C/T 3292-230 - Arthur Norman McArthur of No 74 Collins Street Melbourne Surgeon. [S185] Property Titles. ; PROV (Public Records Office Victoria), C/T 3292-230 - Mortgage to Frances Boran. Discharged 22 Apr 1915. Mortgage No 297320. [S185] Property Titles. ; PROV (Public Records Office Victoria), C/T 3292-230 - Mortgage to Lydia Umphelby. Discharged 23 Aug 1930. Mortgage No 346346. [S185] Property Titles. ; PROV (Public Records Office Victoria), C/T 3292-230 - Mortgage to Joseph Emanuel Goonan. Discharged 27 Nov 1934. Mortgage No 651450. [S185] Property Titles. ; PROV (Public Records Office Victoria), C/T 3292-230 - Mortgage to James Armstrong Bell. Discharged 1 Jul 1938. Mortgage No 703957. [S185] Property Titles. ; PROV (Public Records Office Victoria), C/T 3292-230 - Mortgage to John Grenville Bell. Discharged 25 Nov 1938. Mortgage No 729268. [S185] Property Titles. ; PROV (Public Records Office Victoria), C/T 3292-230 - Mortgage to Bank of Australasia. Discharged 2 Sep 1941. Mortgage No 784108. [S185] Property Titles. ; PROV (Public Records Office Victoria), C/T 2563-439 - see C/T 6501-180. [S185] Property Titles. ; PROV (Public Records Office Victoria), C/T 6501-180 - Arthur Norman McArthur of Mortlake Surgeon to Albert Barton Bennett of 271 Lonsdale Street Melbourne Master Tailor - a caveat was lodged on 23 Jul 1941, lapsed 13 Jul 1942 - by whom? Did Bennett obtain the property before it was officially subdivided? [S185] Property Titles. ; PROV (Public Records Office Victoria), C/T 3292-230 - Arthur Norman McArthur to Stanley Henry Earle of 6 Bay Street Brighton Managing Director - C/T 6635-827. [S5] Registry of Births Deaths and Marriages Death Index Victoria 1921-1985 "#D22676 age 81 [par Peter McARTHUR & Margaret McLEAN]." [S14] Newspaper - Camperdown Chronicle: 12 Dec 1950 p4. Transcription of item written by Dr Colin Macdonald and published in "The Book of Remembrance", The Royal Women's Hospital, Melbourne, 1956.
wife cremated at Springvale - location not recorded - contact administration regarding the tenure of this location. [S14] Newspaper - Camperdown Chronicle, 3 Jul 1879, p3. [S11] Newspaper - Argus 9 Oct 1897, p11. [S11] Newspaper - Argus 31 Oct 1917 p11. [S196] Newspaper - Dandenong Advertiser and Cranbourne, Berwick and Oakleigh Advocate (Vic. : 1914 - 1918) "13 Dec 1917." [S218] Newspaper - The Dandenong Journal (1927-1954) "28 Jan 1932, p4." [S11] Newspaper - Argus 15 Feb 1938 p12. [S14] Newspaper - Camperdown Chronicle: 15 Dec 1950 p1. If you enjoy a good yarn and are interested in the early history of Upper Beaconsfield, make sure you read 'Whimsy and a Little Bull' by Peter McArthur. Mr. McArthur's family owned an orchard here early this century and visited it regularly from Melbourne. The hazards of early horse transport and motor-cars, running an orchard, and, later, raising pigs, local cricket, and making the golf course, plus characters such as Boss Shorthouse and Claud Harris, are described and illustrated with vim and humour in what was clearly a favourite period of the author's life. The first three chapters are likely to be of most interest to you, the remaining chapters recall his life and experiences in Naracoorte S.A. where he took up land, and his years in the Australian Army. [S3] Registry of Births Deaths and Marriages Edwardian Index Victoria 1902-1913 "#B8198." [S11] Newspaper - Argus 4 May 1911, p1. [S15] Newspaper - Village Bell "058-1987, p4 by Jane Holth." [S11] Newspaper - Argus 30 Dec 1931 p5. [S11] Newspaper - Argus 21 Sep 1935, p26. [S20] Various indexed records of GSV - Genealogical Society Victoria "[Mont Park?] Asylum registers. Register of voluntary boarders 1936-1948. p./no. 25 - image file: MPHV02025.pdf." [S8] Queensland Government Birth, Death & Marriage Indexes "[par Alfred John BROWN & Alice WHITING]." [S13] Newspaper - Herald Sun "11 Feb 2004 - viewed online 28 Apr 2014." [S35] Probate Records, PROV (Public Records Office Victoria), VPRS 28/P34, unit 179. [S101] Electoral Roll for Australia, 1903 - 1980 "6 Jun 1950 to Malvern (W H seems to stay)." Death-Notice* 8 Oct 1928 LIND.—On the 6th October, 1928 (suddenly) at Toorak Dr W A T Lind the beloved husband of Monica M Lind, of 18 Walpole street Kew and loving father of William and Neeta, aged 46 years. PRES B378 & B379, Boroondara Cemetery, Kew, VIC, Australia, In memory of Jane Elizabeth LIND died 14 Aug 1894 aged 69 years, for 43 years loving wife of Rev William Alexander LIND & of the above W. A. LIND b London 28 Jan 1828, d Surrey Hills 1 Mar 1915. In memory of Jane Elizabeth LIND only and well beloved daughter of Rev. W.A. LIND & J.E. LIND, b Ballarat 5 Sep 1860, d Surrey Hills 23 Mar 1918. [S35] Probate Records, PROV (Public Records Office Victoria), VPRS 28/P3, unit 1930; VPRS 7591/P2, unit 790. [S1] Registry of Births Deaths and Marriages Pioneer Index Victoria 1836-1888 "#B16704." [S185] Property Titles. ; PROV (Public Records Office Victoria), C/T 1889-602 William Alexander Teao Lind of Alfred Hospital Prahran Medical Practitioner. [S185] Property Titles. ; PROV (Public Records Office Victoria), C/T 2583-455 - James Dale Atchison to William Alexander Teao Lind of Ararat Medical Practitioner. [S185] Property Titles. ; PROV (Public Records Office Victoria), C/T 2583-455 - Title not changed after Dr W A T Lind's death. [S11] Newspaper - Argus 8 Oct 1928 p1. PRES B 0378 & B 0379. [S11] Newspaper - Argus 17 Nov 1928, p18.